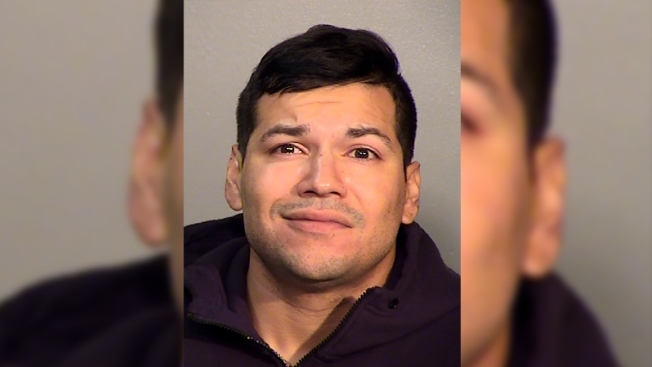 Kino Jimenez was arrested after he allegedly attacked a Texas teen for wearing a "Make America Great Again" cap at a San Antonion Whataburger. Police have arrested a 30-year-old man for allegedly stealing a 16-year-old boy’s “Make America Great Again” hat at a Whataburger in San Antonio after video of the encounter went viral. Kino Jimenez was taken into custody “without incident” in Universal City, Texas on Thursday, according to San Antonio Police Department spokesman Carlos Roberto Ortiz. Jimenez was interviewed by robbery detectives and transported to Bexar County Jail. He will be charged with "theft of person." It was not immediately clear if he had an attorney and a possible phone number for him was disconnected. The teenager, Hunter Richard, captured video of the Tuesday night incident, which he called an unprovoked attack that happened while he was out with friends. In the video, a man is seen holding the iconic red cap while throwing a drink in Richard's face. The man can be heard saying the hat will look good in his fireplace. As the story gained widespread attention on conservative media Thursday, President Donald Trump's son Donald Trump Jr. was among those who shared the video on Twitter. He called it "disgusting and a disgrace." Trump Jr. tweeted again later Thursday with an offer to get Richard a replacement hat. By then, Trump’s campaign manager Brad Parscale had already messaged one of Richard’s friends on Twitter and offered to send the teens new hats signed by the president, WOAI-TV reported. Richard reported the incident on Wednesday night at the North Patrol substation, Ortiz said. The report will not be made public because the case involves a minor. Jimenez has reportedly faced backlash over the incident. Rumble, a San Antonio bar, posted on social media that an unnamed employee was fired over the incident, WOAI-TV reported. The post is no longer up, but a Rumble manager confirmed by phone that the man seen attacking the teen in the video worked there and was fired. Whataburger Corporate Communications said in a statement that no restaurant workers witnessed the incident.